Thank you all so much for the birthday wishes this past weekend! I turned the big 31 on Saturday and you're texts, comments, e-mails, tweets did not go unnoticed that's for sure! In fact, I kept laughing and smiling so big with all your sweet messages that were blowing up my phone! Thanks for making this girl feel so loved on such a special day! If you followed me on Snapchat and Insta Stories on Saturday, you saw that I was going to a new salon in Milton, Georgia to get my hair blown out and my make up done. 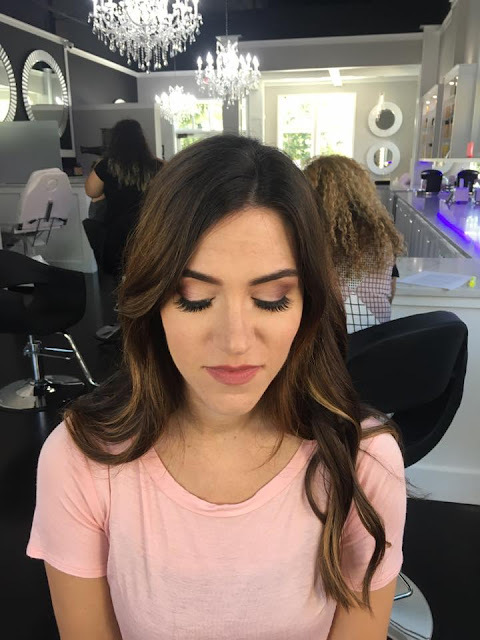 I was really super excited because I've only had this done one other time ( aka my wedding day ha ) so I couldn't wait to get some pampering done! 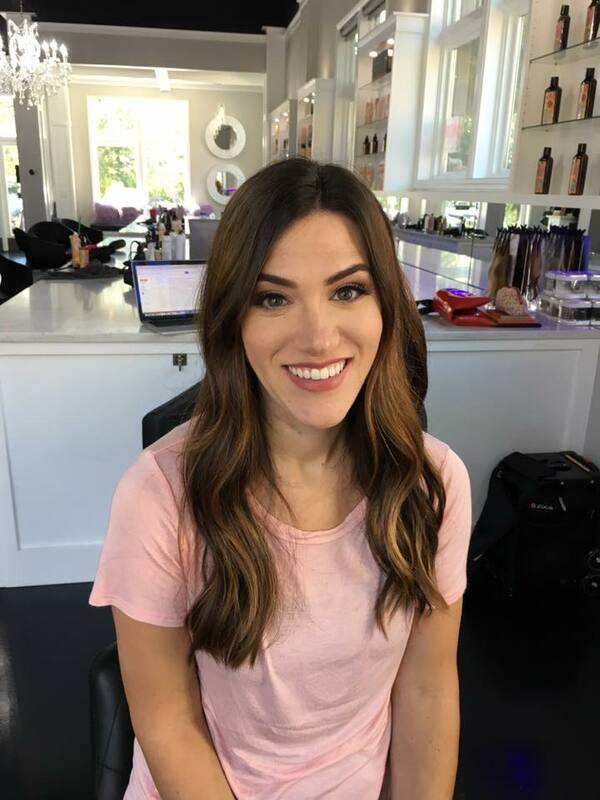 The staff could not have been nicer at Blow Me Away Salon and I walked away feeling aboslutly gorgeous thanks to Megan's flawless hair and make up ideas. How gorgeous is the salon too? 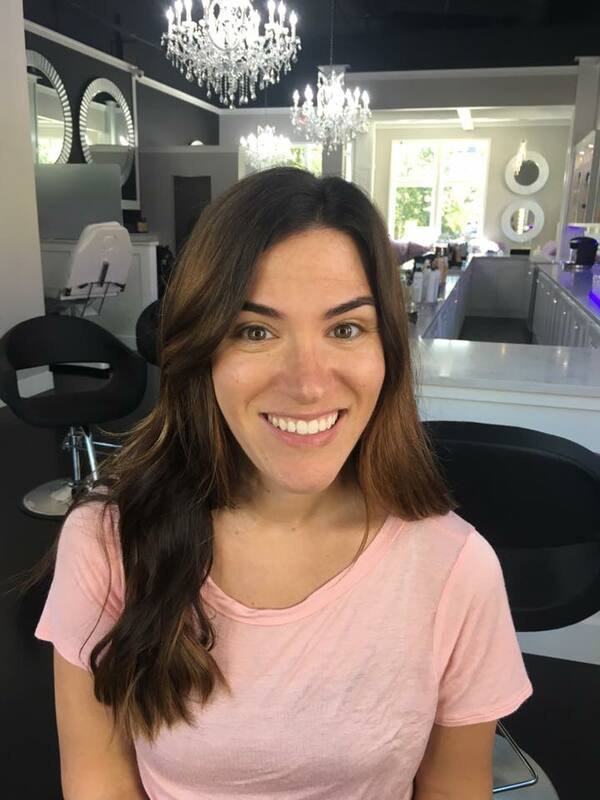 I may be hosting a fun little event in the future with them for other fabulous bloggers like yourself to come and get their hair and make up done too! Whose in?! After my lovely morning, I headed home to get ready and enjoy a fun evening out with my hubby and our best friends. It was a gorgeous day out so we had a few pre dinner drinks at their house before driving up to The Cowfish for dinner. I can't stop raving about them! 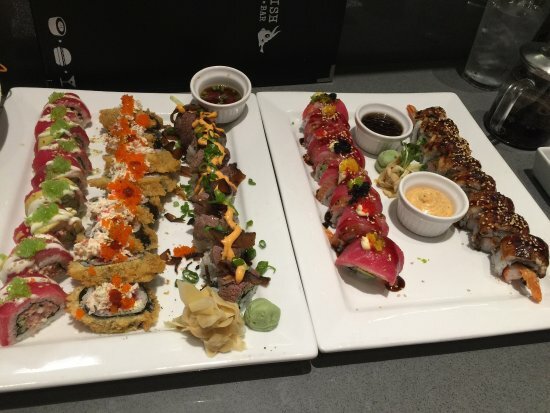 We shared a variety of their sushi rolls which were simply incredible. Michael and Kimberly agreed it was extremely delicious and also enjoyed everything we ordered. 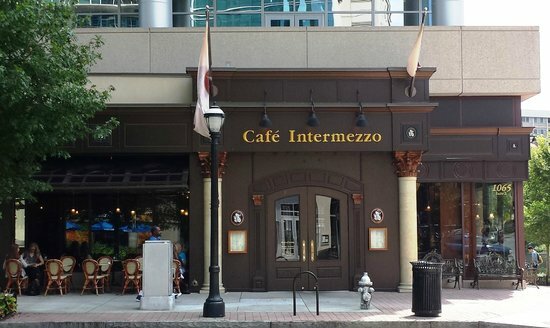 From there we then went to my other favorite cafe for dessert and after dinner coffee indulgences at Cafe Intermezzo. My favorite drink to enjoy there is their Cioccoliccino which is basically their Dutch chocolate steamed in cream with expresso, whip cream and chocolate powder on top. Add a huge slice of chocolate cheesecake and I'm in chocolate heaven! It was so lovely and a great icing on the cake to my birthday night with my friends. We headed to a roof top bar later that night to enjoy some games and the great weather that we were having until later in the evening when we came home and finally got into bed. Sunday was a low key morning as we ran a few errands, got our house picked up and then had our neighbors over for dinner. They've been such a huge help since we don't have real family members down here to watch Landon and Lily for us and we wanted to show our appreciation by making these 2 incredible couples a delicious home cooked meal of smoked pork, salad, mashed potatoes and homemade chocolate cake. We go all out my friends ;) Everyone enjoyed the meal and once the kitchen was cleaned up and the kids were bathed and put to bed, Zach and I sat down to enjoy watching Game of Thrones before heading to bed ourselves. What a wonderful weekend it was! Hope you all had a great time with your friends and family too! Tell me what you did in the comments below!